Marc Stern, Vice Chairman, TCW Group Inc.
Marc I. Stern is chairman of The TCW Group Inc., a Los Angeles based asset management firm. Mr. Stern is a Member of the Management Committee of Société Générale Group and Chairman of Société Générale’s Global Investment Management and Services unit in North America. TCW was acquired by Société Générale in 2001. Mr. Stern served at TCW’s Chief Executive Officer from 2009 to 2012, as Vice Chairman from 2005 to 2009 and as President from 1990 to 2005. Mr. Stern serves as a Director of Qualcomm, Inc. (NASDAQ) and is an Owner of the Milwaukee Brewers Baseball Club. He is Chairman and Chief Executive Officer of the Los Angeles Opera. Mr. Stern also serves on the Boards of the Performing Arts Center of Los Angeles County, the John F. Kennedy Center for the Performing Arts and the California Institute of Technology. Mr. Stern was recently appointed as a “Commandeur de l’Ordre National du Mérite” by the President of France. 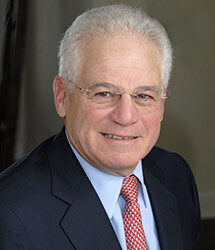 Prior to joining TCW in 1990, Mr. Stern was President of SunAmerica, Inc., now a subsidiary of America International Group, Inc. Mr. Stern is a former Managing Director and Chief Administrative Officer of The Henley Group, Inc. From 1974 to 1986 Mr. Stern was an officer of Allied-Signal Inc. and various predecessor companies. From 1970 to 1974, he was associated with the New York City law firm Debevoise & Plimpton.